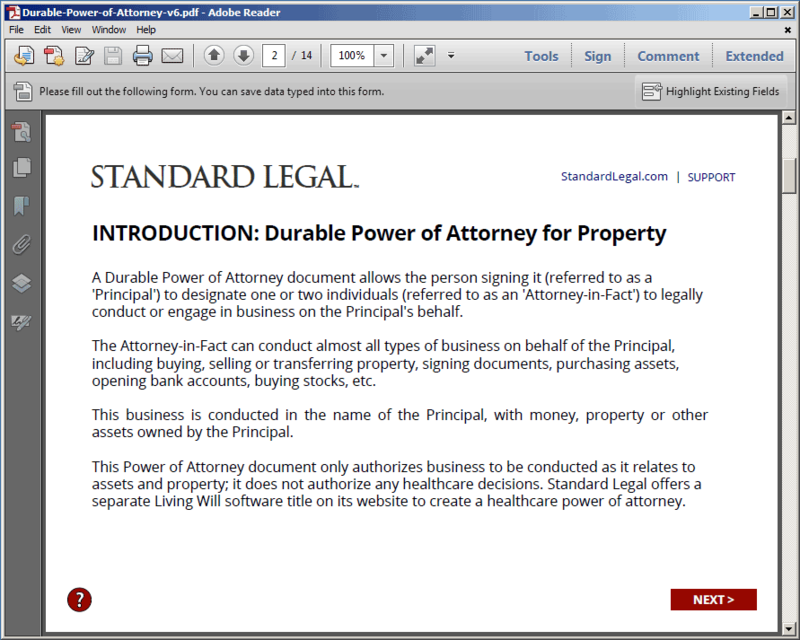 Grant Power of Attorney to a trusted person with this easy-to-use software! 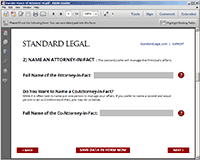 Create the legal documents that name a friend or family member as Attorney-in-Fact to handle your personal business and legal affairs. Two different Power of Attorney documents are available: a Limited Power of Attorney for a specific piece of business; or a Durable Power of Attorney to handle a broad range of decision-making matters long term. 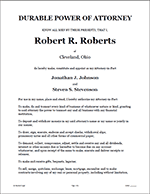 Plus a Revocation Document to end the Power of Attorney relationship at any time. It's a fairly common situation in life where the mental or physical capacities of a person become reduced to the point that it's time to leave daily financial and legal decisions in the hands of another. Equally common is the situation where a person is fully capable but unable to attend to a specific legal matter or piece of business directly, and wishes to have a designated representative handle that affair or transaction on his behalf. 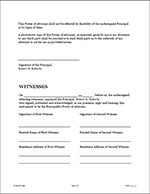 In either case, a properly drafted and executed Power of Attorney document is required. 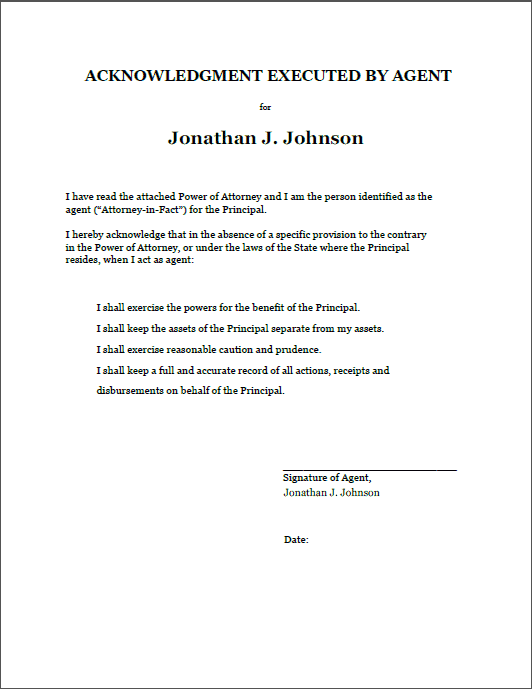 A Power of Attorney document allows one person (called the Principal) to designate another person or persons (called the Attorney-in-Fact) to handle the business, financial and legal affairs of the person signing the form. This document can be crafted either for a specific function or for overall day-to-day needs. 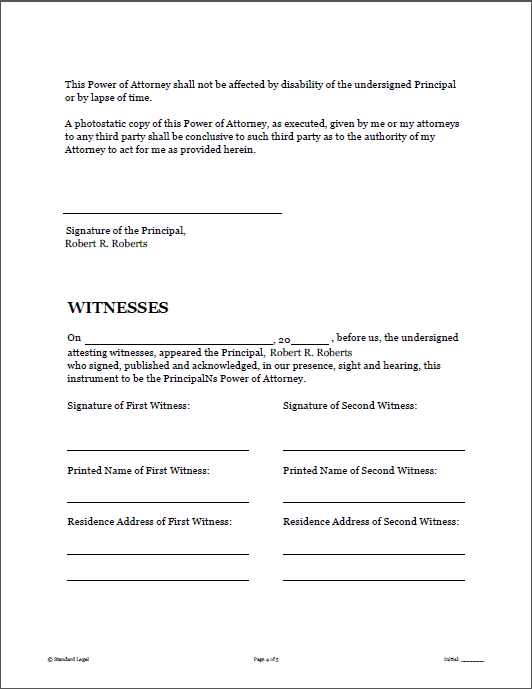 REVOCABLE DURABLE POWER OF ATTORNEY - Used to permit a third party (an "Attorney-in-Fact") to conduct or engage in almost any form or type of business on the part of the Principal, the person signing the form. This business includes such actions as buying, selling or transferring property, signing documents, purchasing assets, opening bank accounts, buying stocks, etc. All of these actions are done in the name of the Principal, using money or assets owned by the Principal. 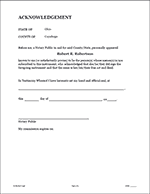 This document is appropriate for individuals who do not wish to engage in such transactions, or can no longer do so. For example, an elderly or disabled individual who can no longer leave his or her residence to conduct certain business; an individual who may be leaving the country for a lengthy period of time; etc. 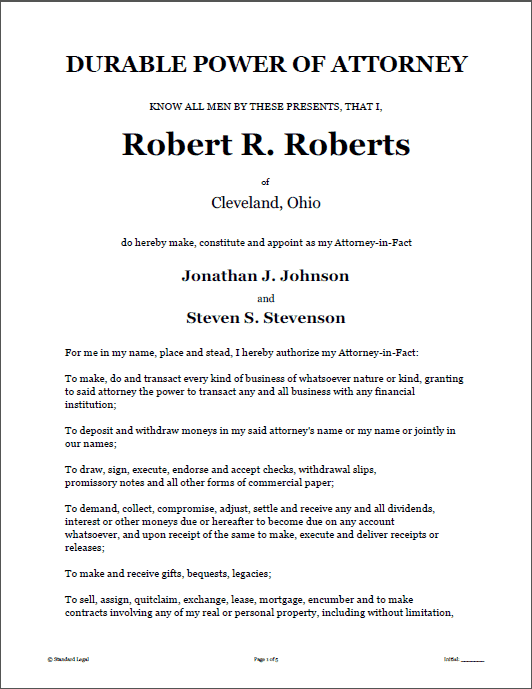 REVOCABLE LIMITED POWER OF ATTORNEY - Used to permit a third party (an "Attorney-in-Fact") to conduct or engage in the specific business or transaction stated on the document on behalf of the Principal, the person signing the form. This document differs from the Durable Power of Attorney in two ways: 1) the authority granted under this document is limited to the tasks, business or transactions specifically stated in the document; 2) the authority granted under this document is limited in time, i.e. if the action or business is not taken or engaged in by the date set forth on the document, the authority to do the same lapses. This document is appropriate for individuals who cannot take certain actions on their own because they are unavailable to do so or to do so would result in some inconvenience. 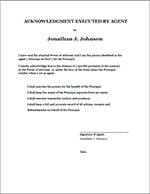 REVOCATION OF POWER OF ATTORNEY - This document allows the user to end a Power of Attorney relationship at will, giving back to the Principal all legal authority to again handle the business and/or financial affairs previously assigned through the Power of Attorney document. 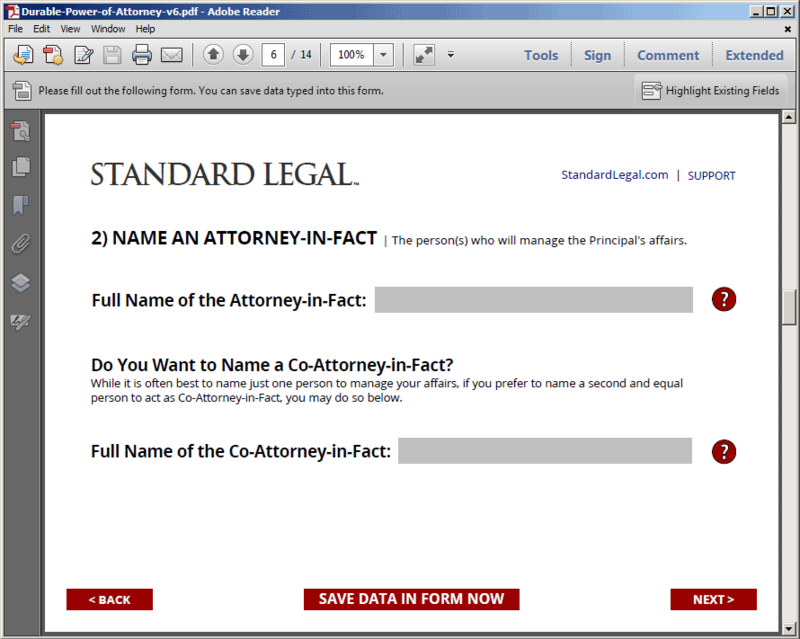 Further, to ensure that the person(s) named as Attorney-in-Fact keep in mind that they are to act solely in the best interest of the person granting the Power of Attorney, each of Standard Legal's POA documents contain a provision requiring that all legal and financial documentation be turned over at the request of the Principal (or upon the request of a newly assigned Attorney-in-Fact) should the Power of Attorney be rescinded. Such a provision drafted directly into the form is a simple way to ensure that the documentation of activities -- and subsequent access to that documentation -- is available should any questions arise later. 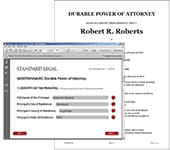 REMEMBER: A PROPERLY COMPLETED DURABLE POWER OF ATTORNEY FORM IS A VERY POWERFUL LEGAL DOCUMENT. 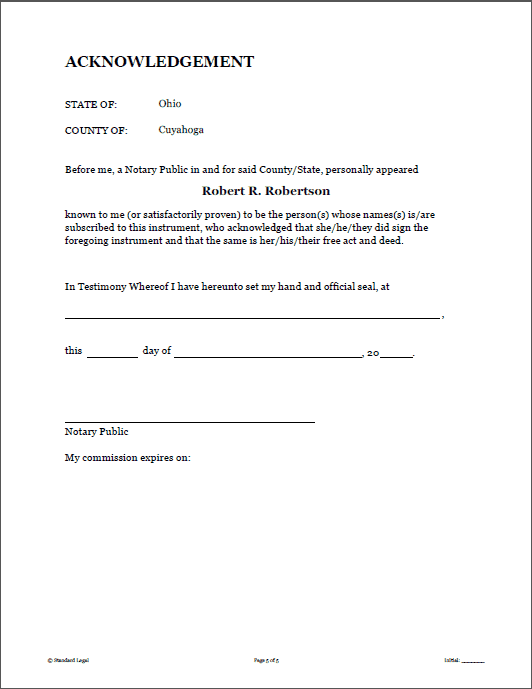 Once this document is signed, witnessed, notarized and provided to the person(s) named as 'Attorney-in-Fact', those persons will have the ability to conduct almost ALL business on behalf of the Principal (again, from opening and closing bank accounts, to selling the Principal's real estate or personal property, to obtaining loans and placing mortgages on property, etc.). As such, the person(s) named as 'Attorney-in-Fact' must be completely trustworthy and have only the best interest of the Principal in mind. 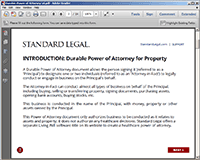 QUALIFIED ATTORNEY AUTHORS: All of the legal forms within each Standard Legal software title are carefully researched and written by a highly-qualified, experienced, licensed attorney. 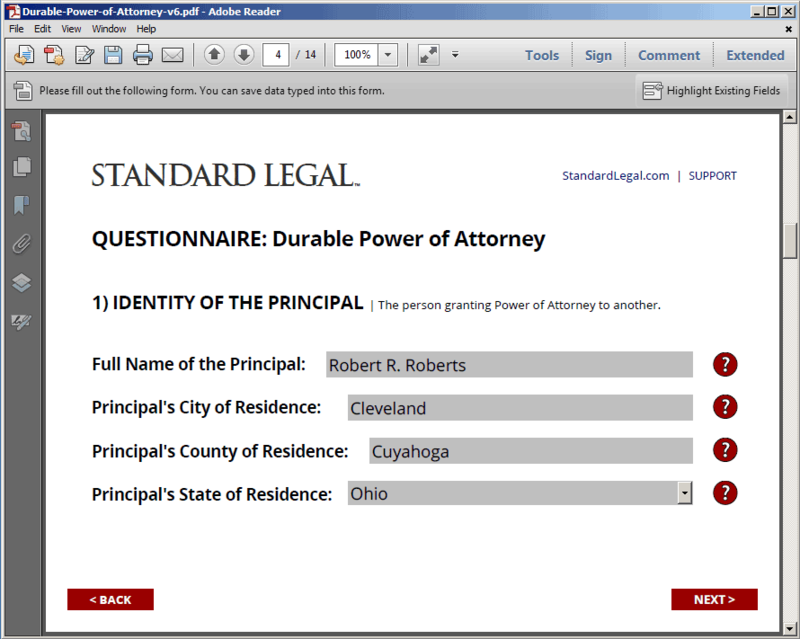 EASILY DOWNLOADABLE FORMS: Standard Legal's forms can be downloaded in one .zip file, with additional state-specific documents available from the online forms server. 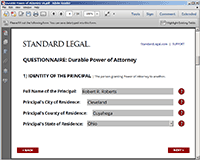 LEGAL & VALID IN ALL STATES: The forms from Standard Legal are valid in every USA state and territory. Primary documents cover federal law, with state-specific language or forms provided as required. 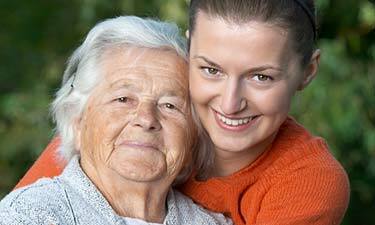 Have a Power of Attorney question?